The UK Film Council plans to reduce the amount of money allocated to two of its three main production funds, and instead invest the cash on training and extra money for the British Film Institute. The Premiere Fund, which has backed commercially orientated films such as Gosford Park and Sylvia, will receive £8m a year for the next three years - down from £10m a year. The Development Fund, whose key aim is to raise the quality of screenplays through targeted development initiatives, will be reduced to £4m a year, down from £5m a year. 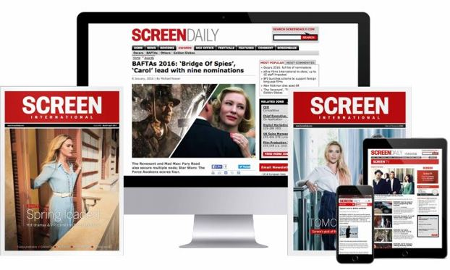 The move was announced yesterday by UK Film Council chief executive officer John Woodward at the Screen International UK Film Finance Summit. Woodward said the adjustments were necessary "to keep all of our existing funding initiatives going and to pay for our new training strategy and to give the BFI a grant increase after three years of standstill funding." He added, however, that the Premiere Fund could see its pot increased by raising additional money from an Enterprise Investment Scheme - details of which were announced last week (ScreenDaily.com, Oct 9). He also explained that the planned reduction in the Development Fund "should be seen in the context of the new £10m a year Training Fund which has as a central objective the development of writing and script executive talent." The Council is placing a specific emphasis on skills training, which forms a central plank of a new consultation document published this week by the body on its funding and policy priorities over the next three years. The consultation document also says that the BFI's annual grant for the next three years will be increased by £1.5m to £16m.